Elaeagnus umbellata, autumn olive. This temperate eastern Asian native is a non-legume nitrogen-fixer, hosting Frankia bacteria in its roots to fix atmospheric nitrogen. Like a number of other “actinorhizal” plants that have relationships with Frankia, nitrogen fixation has allowed this species to become invasive in several parts of the world. It‘s been a while since we launched a Nitrogen Fixing expedition, mostly because we spent a lot of last Spring and Summer working our tails off getting sampling done at herbaria, while also getting sequencing efforts underway. But now we are ready to get back to what we think is a key part of this work—being able to link up specimens with our genetic data. This remains so critical because we can link each set of genes we sequence to the plant itself and to all the contextual information on the labels about when the plant was collected, the locality, etc. We are particularly ready for this step because sequencing and analyses of the more than 10,000 species that form the key part of this project is nearing completion. Our work so far on the genes responsible is starting to provide a glimpse into how plants form root nodules—which are critical for allowing the nitrogen-fixing symbiosis to happen. We really appreciate your help getting us further along with this effort. Happy Citizen Science Day 2019! Enjoy this fun video from SciStarter in honor of Citizen Science Day. California has the most diverse native flora of any state in the United States, containing more than 1/3 of all U.S. plant species. Over 7,400 plant species, subspecies, or varieties occur in this state, and 2,331 (32%) of these are endemic. The California Phenology Thematic Collections Network (CAP TCN) was established in August 2018—thanks to funding from the National Science Foundation—to better understand this diverse and beautiful flora and how it will be affected by anthropogenic change. This network of 22 California herbaria aims to fully digitize (image, transcribe, and georeference) nearly 1 million specimens over four years and capture reproductive data (i.e., phenology) from specimen images. Many herbaria in this project have transcribed herbarium specimen data in the past in collaboration with the Consortium of California Herbaria; however, there are still many specimens for which there are no associated data. Moreover, the majority of herbaria in this project have never before imaged their specimens. The CAP TCN provides an exciting opportunity to discover specimens previously locked away in cabinets and make these data publically available for research, education, and other uses. Data and images are being produced daily and can be found on the project portal: cch2.org. You can help make this possible by participating in our California Phenology Notes from Nature expeditions. Our first several expeditions will be label transcription projects like many other great projects on Notes from Nature. In later expeditions, we will introduce scoring reproductive structures on herbarium sheets. Determining the phenology (timing of reproductive events) of these plants is crucial for understanding biotic change in this biodiversity hotspot. For more information and updates on the project, visit the CAP TCN website at capturingcaliforniasflowers.org, follow the project on Twitter (@CalPhenologyTCN), or contact the project manager, Katie Pearson at kdpearso@calpoly.edu. 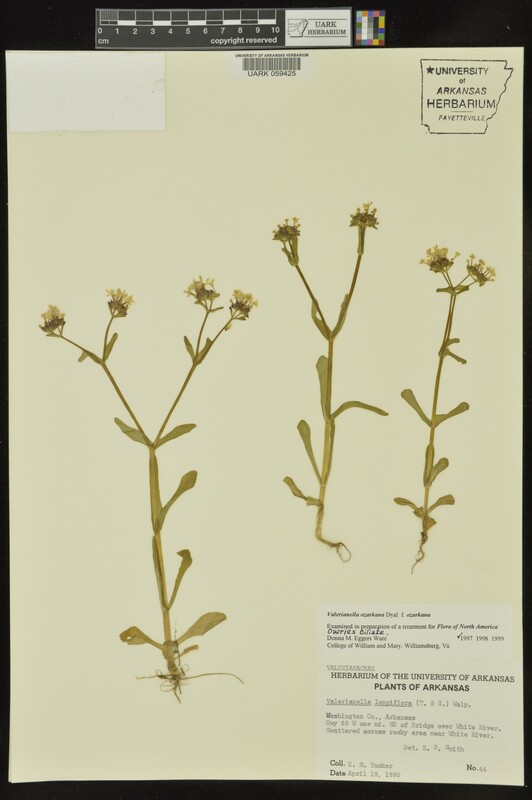 The California Phenology Thematic Collections Network is composed of the following herbaria: CSU Chico (CHSC), CSU Los Angeles (CSLA), UC Davis (DAV), CSU Fresno (FSC), CSU Humboldt (HSC), UC Irvine (IRVC), UC Los Angeles (LA), CSU Long Beach (LOB), CSU Fullerton (MACF), California Polytechnic State University, San Luis Obispo (OBI), Rancho Santa Ana Botanic Garden (RSA), CSU San Bernardino (CSUSB), Colorado Desert District, California Dept. of Parks and Recreation (BSCA), Santa Barbara Botanic Garden (SBBG), San Diego Natural History Museum (SD), San Diego State University (SDSU), CSU Northridge (SFV), San Jose State University (SJSU), UC Berkeley (UC/JEPS), UC Santa Cruz (UCSC), UC Santa Barbara (UCSB), and UC Riverside (UCR). Acronyms follow Index Herbariorum. We are thrilled to report that first expedition of the Triplehorn Insect Collection with Notes from Nature was completed and it was a success! Ninety nine explorers joined us to transcribe data from 1,443 specimens in three species and 5 subspecies. The records are now in our online database and fully available to anyone interested. Data from dry insect specimens are challenging to transcribe. Labels are small, often handwritten, and sometimes the collector’s handwriting is downright impossible to decipher. Collecting locality information is frequently abbreviated in cryptic ways, date formats may vary dramatically, and, to add insult to injury, labels frequently contain misspellings and typos. It is not uncommon to come across labels that contain only a number, say “3456”. The older the specimen the more acute the problems and the more complicated the task of transcription becomes. Despite of these obstacles, the overall quality of the data transcribed by Notes from Nature volunteers was very good. Here are a few cool facts about the first expedition of Arctic Oeneis. About 65% of the specimens were from Canada and 30% from the USA. The remaining 5% of the specimens were from other countries or had no label data. We’re now kicking off our second expedition, featuring three species and 10 subspecies of Arctic Oeneis, and we would be delighted if you’d come along with us. We can’t wait to see what other interesting facts we’ll uncover. As part of the Arctic Oeneis digitization project we have already photographed over 4,300 specimens with their respective labels. We expect to complete the photography part of the project this spring. Thank you, volunteers! Now to the next expedition! We Have A New Field Book! We are excited to announce our new Field Book! Here are some of the key improvements with the Field Book: 1) We now have specialized reporting of your effort over time. 2) We have compiled information about your “recent” and “favorite” classifications and transcriptions onto the Field Book; 3) We have revamped our badging system. This includes some new badges and shows you progress as you work towards your remaining badges. Some new badges include a “decade” badges you can earn for transcribing a number of records that were collected during a particular decade. We also have badges for working at specific times of day such as the Night Owl badge. In addition to new features, this is also part of our process to transition to an updated Zooniverse platform over the coming months. For this reason you may notice some differences in they way badge counts are calculated at launch time. This is mostly between group badges (e.g., Herbarium) and level badges (numbers of classifications). Nevertheless, we very excited about the new badges available and those still to come in this new framework going forward. Take a look at the new Field Book and let us know what you think. We’ll also start a thread on Talk where you can report any issue you see or ask question. Well, you’ve done it again. Notes from Nature 2.0 just reached 1 MILLION, so let’s celebrate. It took about 994 days, which is around 1,000 classifications/transcriptions a day. We’ve had so many wonderful milestones along the way such as online and onsite events, transcription challenges and lots of lots of engaging research questions. Not to mention the many wonderful interactions with our amazing volunteers. We could never have imagined the community that would coalesced around this project. It would literally be nothing without all of you! You can even review the over 175 expeditions that we have completed since starting Notes from Nature 2.0. We transitioned from Notes from Nature 1.0 with about 1,011,400 transcriptions, so this puts us well over 2 million for the entire project! As always the site has lots of content to engage with and always plenty of herbarium specimens to transcribe. We have been particularly excited about our Labs, which currently feature 3 different phenology projects.